One of the best things about smartwatches is that they finally give the fashion-inclined the ability to switch out watch faces without buying another $300 bit of wrist jewelry. 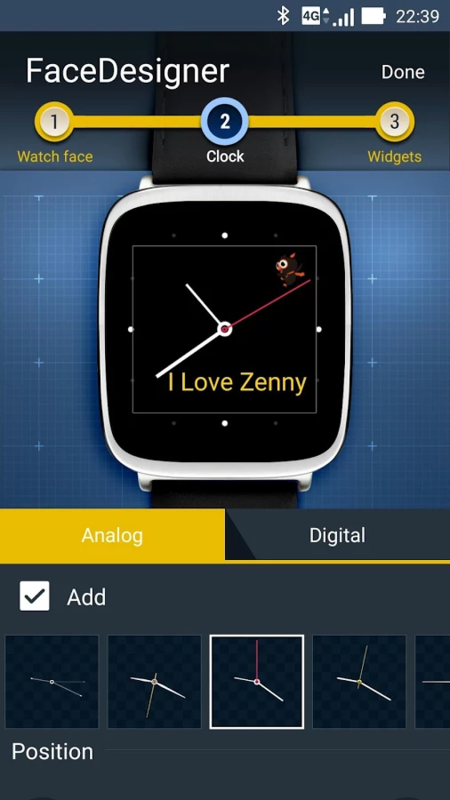 There have been attempts to create systems whereby end users could easily create their own digital watch faces ever since the original Pebble, with varrying degrees of success. 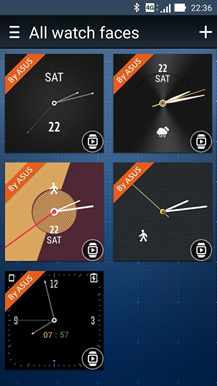 Now Asus, which has already released dozens of custom watch faces for its ZenWatch and ZenWatch 2 customers, has created its own custom watch face maker app. 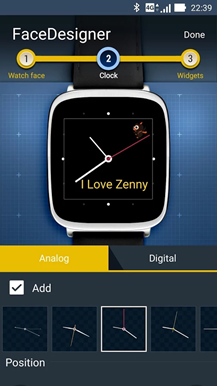 ZenWatch FaceDesigner, in addition to being number one with a bullet on the Most Wanted list for camelcase offenders, offers Asus smartwatch users a way to quickly and easily make and install customized watch faces for the ZenWatch. Pick from a selection of pre-made backgrounds, radial hands or digital readouts, added text, and functional widgets like battery meters or weather readouts, then finalize your creation and send it to your watch. 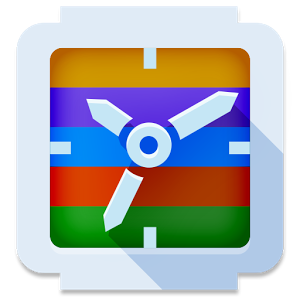 There's a surprising degree of customization here: you can add your own background image, a custom hour/minute overlay, customized hands, even your own little "cap" for the hinge where the hands meet. 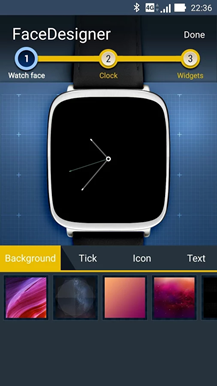 Someone with some rudimentary Photoshop skills could make a completely unique watch face in under half an hour or so. Too bad it's only compatible with the ZenWatch and Zenwatch 2 (even other square Android Wear watches won't work), but I suppose that's understandable. Other users can give Facer a try instead.